Today I have one of the Girly Bits Cosmetics February colours of the month to share with you. Fun fact, I named this polish! Magenta... Mangentlemen... get it?! Let's take a look at swatches. 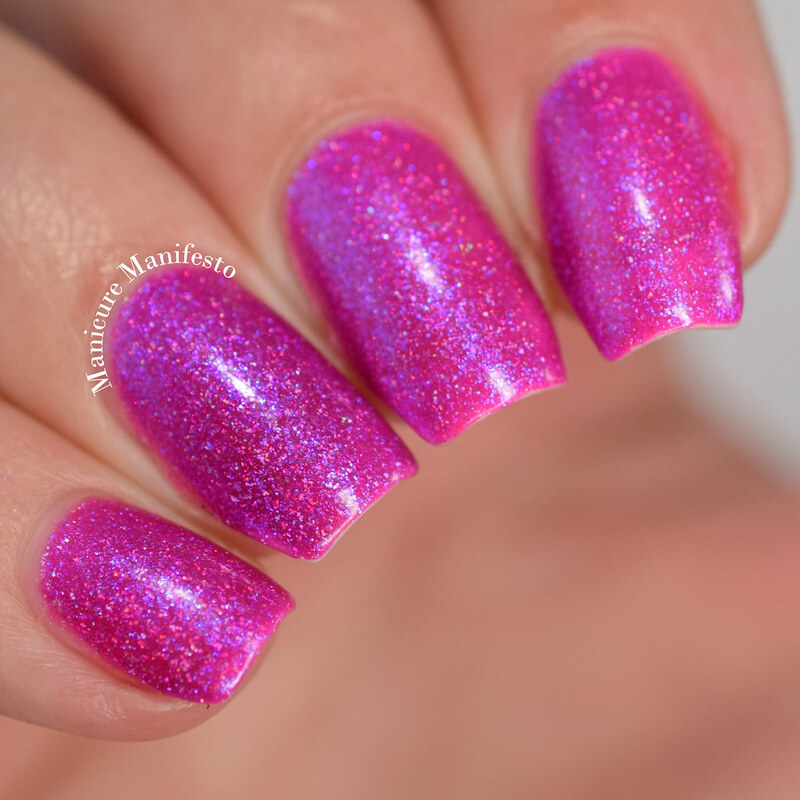 Ladies And Magentlemen features a bright magenta jelly base filled with violet and blue glass flecks along with some tiny holo glitters. The formula was easy to work with and quite pigmented for a jelly base. It took two coats to become opaque and dried to a smooth finish. 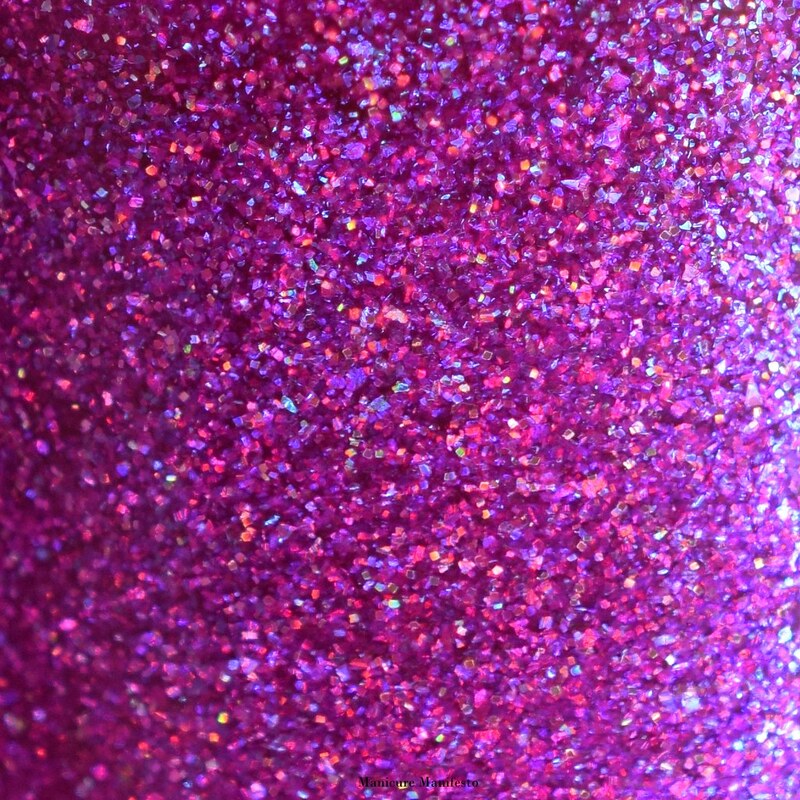 Photos show two coats of Ladies And Magentlemen with one coat of Girly Bits Glitter Glaze top coat in daylight spectrum lighting.